You’ve seen frightening stories like this on TV. Perhaps you’ve heard about them from neighbors or co-workers, but you still haven’t witnessed anything like them yourself. Be warned – the first time is one time too many. Now that you’re in the market for your first home, or maybe a second or third, congratulations! Buying a new home is one of the biggest achievements in the lives of many people. 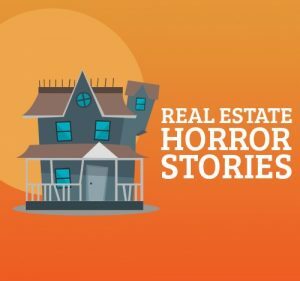 Unfortunately, homebuyers – especially first-time buyers – are often the victims of horror stories. That’s right – absolute horror. Alex was super excited about making her first home purchase back in 2012. Being in the Washington, D.C. area, she was really limited with pricing options, with many of the lower cost homes being around $250,000. She went to several banks and got pre-approved for different amounts at various lower interest rates. She found her dream condo, and after some deliberating, she decided to go with the lowest rate of 4% offered to her by Bank of America. She completed her paperwork and submitted it with her 10% deposit. The rate wasn’t her only deciding factor. Everyone had been super friendly and great at communication, making her feel very comfortable about the process – until now. Suddenly, it seemed as though all of Bank of America dropped off the map. A closing process that should have taken 30 days or less turned into several months of waiting and a larger deposit of an additional $20,000! They ran her in circles and circles until the seller told her through the real estate agent that the deal was over if she didn’t find another solution. Luckily, the seller’s real estate agent was friends with one of the other lenders and was able to help her to obtain another loan – although at 4.25% – much more quickly. What became of Bank of America? Strangely, one of Alex’s friends didn’t have any problems and was able to finance her purchase and move into her new home while Alex’s application nightmare was already in process! I guess she got lucky, but Alex will always remember that horrible experience. Before you start thinking that you’re exempt from any possible horror because you’re buying your second or third home, think again. Have you ever heard of termites? The bugs that eat away at the very structure of buildings and homes? Ron and Jenna were happily married and planning on upgrading to their second new home. After a long search, they found it – so they thought. A super bright and colorful kitchen, open living and dining areas, three bathrooms, high ceilings, a fireplace, and even a covered porch made the home seem absolutely perfect. They were especially thrilled that the price was only $135,000. That kind of price is a steal. They signed the contract and were in the house a little more than a month later. Less than 6 months later, the horror story began to unfold. Jenna was cleaning one of the bathrooms when she noticed tiny little ants with wings. Following Ron’s advice, she called the exterminator. When he arrived, he delivered the first blow – these winged ants were actually termites! The exterminator went under the house to assess the damage. Not only did he find that the floor under the bathroom was completely infested, but also the other two bathrooms and spreading to more of the house! The grand total to repair this problem came to over $12,000! That’s an unbelievable amount of money to unexpectedly invest in a house that you’ve only lived in for less than 6 months. The key lesson here is to really know the house that you’re buying. You should always hire an exterminator on your own to investigate the house, particularly for termites. If you’re going to make such a huge investment in a new home, the small price of precaution is worth it. The stories can continue through an endless list. I recently met a lady – let’s call her Sue – at a café with a really intense first-time buyer story. I happened to overhear her conversation so I decided to step in and ask about it. Sue and her fiancé were searching for their first home with the intention of buying one before their wedding. They had been told about a really great real estate agent in the city that they wanted to call home, and so they looked him up to ask his help in finding the right home. The problem was that the only praise that they heard about him was from clients who had hired him to sell homes, not from homebuyers. He met up with Sue and her fiancé to go over different homes he had on his list, and then it was time to take a trip around town to see them. There was one home in particular that he talked profusely about, and so they went in to take a look. While they did have a limited budget, Sue and her fiancé knew what good quality was, and so they were able to see right away that there were problems. The basement doorway was weak. The upstairs bathroom floor bounced, and the light switches in the hallway seemed to “pop” and flicker. Although very nicely painted, this house didn’t fool them one bit. When confronted with these concerns, the agent replied that they could always fix any problems later. Although their gut told them not to move forward with making a purchase, they agreed to a $10,000 price reduction and took the house. The problems that they had noticed went much deeper. The weak basement doorway translated into unfortified walls leading downstairs. The bouncy bathroom floor had been wet under the linoleum and about three inches up two of the walls. The flickering light switches were warning them of the outdated wiring which had to be replaced. In the end, their $10,000 savings only helped to give them a bit of consolation when they paid their $27,000 bill for all of the remodeling! Snake Den or Dream Home? The five-bedroom house sat on pastoral acreage in the American countryside. At less than $180,000, it seemed a steal. But it wasn’t a bargain. Ben and Amber Sessions soon realized the dream home they h purchased in Rexburg, Idaho for their growing family, was infested with hundreds of garter snakes. Throngs of reptiles crawled beneath the outer walls. At night, the young couple said they would lie awake and listen to slithering inside the walls. It was like living in one of those horror movies. The home was most likely built on a winter snake den, or hibernaculum, where the reptiles gather in large numbers to hibernate. In the spring and summer, the snakes fan out across south-east Idaho but as the days get shorter and cooler they returned to the den. The Sessions would frequently eat out because their well water carried the foul smelling musk that the snakes release as a warning to predators. Each day before Amber Sessions, who was pregnant, and their two small boys got out of bed, her husband said he would do a “morning sweep” through the house to ensure none of the snakes got inside. That didn’t always work. One day, he heard his wife scream from the laundry room, where she had almost stepped on a snake. At the height of the infestation, Ben Sessions said he killed 42 snakes in one day before he decided he could not do it anymore. He waged war against the snakes and “they won”. He and his wife had a little recourse when they decided to flee the home. They had signed a document noting the snake infestation. They said they had been assured by their estate agent that the snakes were just a story invented by the previous owners to leave their mortgage behind. The Sessions filed for bankruptcy and the house was repossessed. They left the home the day after their daughter was born, just three months after moving in. Amber Sessions felt like their family was starting to fall apart. Several months ago, the house briefly went back on the market. Now owned by the bank, it was listed at $114,900 a year later. The property has since been taken off the market, while the bank decides what to do with it. Some homes on the market can be too good to be true. In that story, it sounded like Mr. Sessions felt the emotional pressure to provide a good home for his growing family. They didn’t have a proper inspection of the home before purchasing. It seems the real issue was the agent who cared more about selling the home then his client. Sessions was fed a story that he felt was truthful and it really cost him emotionally and financially. It can be tricky at times to tell if people are giving you false information. If you are not acting out of desperation and emotion, you can be more keen to body language and more equipped to handle the tricky situation. The Sessions situation was so bad they decided the best thing to do was to move out the day before their child was born and file for bankruptcy. Although a home inspector passed Justin and Kate Treher’s home, he missed some problems. For instance, the previous homeowner supposedly installed and tested the sump pump in the basement and it failed shortly after move in, flooding the basement. Then the sunroom was filled with termites, costing the couple $2,000 in repairs. After the termites were eradicated, they discovered the sunroom was entirely covered in mold and there was no caulking around the windows to keep the moisture out. A better home inspector would have been able to see the signs of termites and mold. The sump pump should have also been checked by the inspector, but it could have failed after the inspection. Sump pumps can burn out, lose power, become clogged or misaligned, or malfunction in a variety of other ways. It is valuable to have a warning device installed that will signal water build-up. These alarms can alert homeowners or neighbors of flooding so that it can be resolved before water damage occurs. Be careful. Be smart. These horror stories are real and happen every day. Do your homework before jumping into a new home. Too many of us spend more time investigating a car before making a purchase than we do spending tens of thousands more dollars and decades longer paying on a home. You have time to educate yourself, and I hope that this little chapter has helped you move forward in the right direction.